Why Can't the FDA Just Call A Spade a Spade? A huge food recall is brewing yet again. Does it involve any products from locally produced, small family farms? Of course not. These huge, expensive, and frightening food recalls involve products produced in factories, where food is not only denatured, rendered nutritionless, and exposed to pathogenic bacteria, but also where a plethora of additives and chemicals are added to tantalize the consumer with fake flavors and aromas. This latest food recall involves a flavor enhancer called “hydrolyzed vegetable protein” (HVP) that is apparently contaminated with salmonella and used in thousands upon thousands of processed foods including soups, sauces, processed meats, canned chilis, gravies, snack foods, dips, and even salad dressing among many others. What the FDA has so far refused to acknowledge with this latest recall is that this “flavor enhancer” is really good ‘ole MSG, that’s right MONOSODIUM GLUTAMATE, the deadly neurotoxin that shrivels and kills brain cells in the hypothalamus (brain stem) and has been linked to migraines, seizures, ADD/ADHD, heart palpitations, tremors, and many, many other symptoms ranging from mild to life threatening. 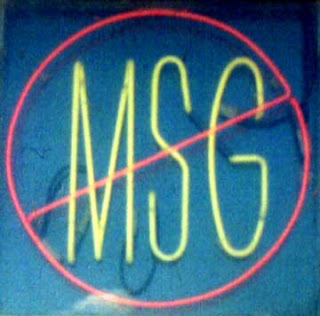 MSG is most dangerous for young children to consume, as the blood brain barrier has not yet fully developed. Keeping your children off processed foods containing MSG is of paramount importance to protect their young, developing brains. Don’t be fooled by the games of the food processing industry and the FDA! If you are still eating the types of processed foods involved in this scary recall, use this opportunity to change your eating habits to not only to protect yourself from salmonella, but also to protect your brain from the ravaging effects of MSG. Switching to whole, organic foods prepared by traditional methods is something that is a major step forward for the health of your brain as well as your body. For information and support on how to make this transition, contact your local Weston A. Price Foundation Chapter Leader (http://westonaprice.org/).